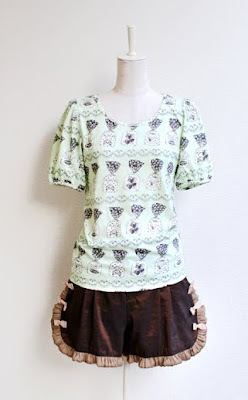 While looking for inspiration images of ruffled and scalloped clothes, I kept coming across images of ruffled shorts. 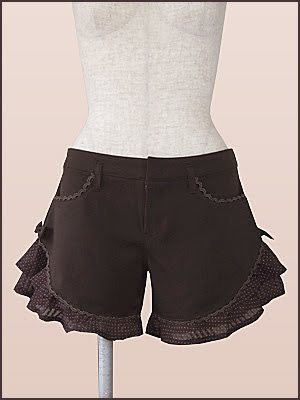 Not normally a shorts-wearer myself, but I'm starting to really want some for summer. from Jane Marple. 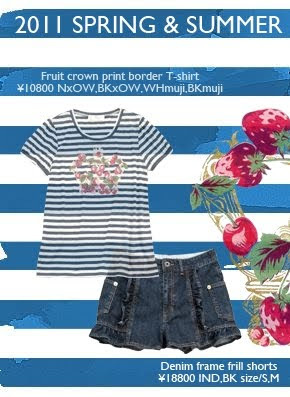 I wish I could find a better picture of the denim shorts, since they look like they have really nice detailing.